Crazy But True Gourmet Popcorn is located in the First and Main Shopping district in Hudson, they also have a pop-up shop in Legacy Village. Each location has 50 flavors on site daily and the capability to produce 100 different flavors. 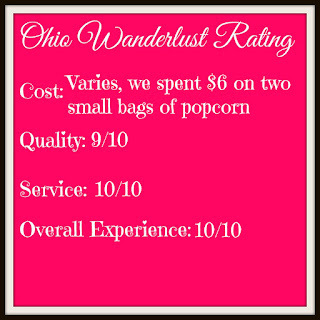 When we visited Crazy But True we were able to sample several popcorn blends before making our purchase. 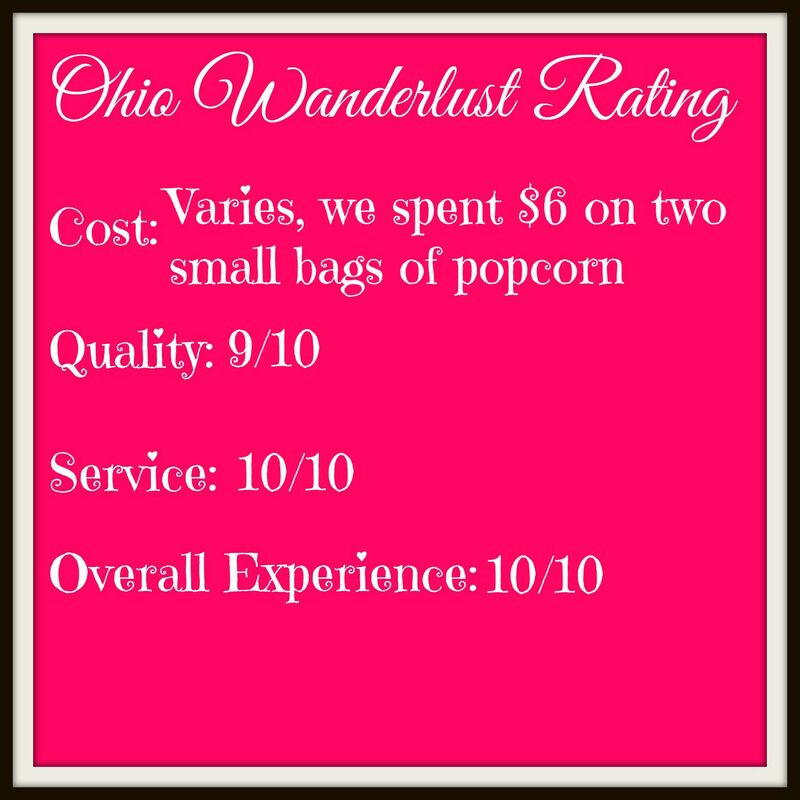 The staff was incredibly friendly as far as letting us try different popcorn flavors and making recommendations based on what we had tried. Savory: Coconut Curry, Pizza, Beer Cheese. Premium: Birthday Cake, Buckeye, Puppy Chow. Employee favorites, the midnight rollo sounds great, I can't wait to try it next time we're in Hudson. Crazy But True can put together super cute favors for bridal showers, baby showers, corporate events, etc. We purchased a small bag of the pizza and puppy chow popcorn. The pizza popcorn had all of the flavors of pizza on an orange cheddar popcorn -- think of those classic pizza seasonings, but in mini form. The puppy chow popcorn was my personal favorite -- puppy chow applied to popcorn, there were even some Chex pieces throughout. This was perfect for satisfying my sweet tooth.